The American Health Council is proud to elect Dr. Carolyne Jean-Philippe, Attending Physician at PM Pediatrics and Coney Island Pediatric Emergency Department, as a “Leader in Medicine”. With expertise in Pediatrics and Emergency Medicine, Dr. Jean-Philippe brings to the AHC 12 years in the healthcare industry, including 3 in her current role. 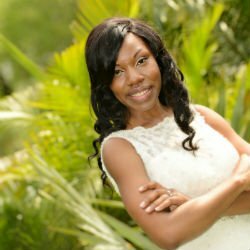 Graduating with a Bachelor of Science from Montclair State University, Dr. Jean-Phillipe went on to obtain her MD at Ross University School of Medicine. In 2009, she completed her Pediatric Residency at New York Medical College/Metropolitan Hospital Center and received her Board Certification in Pediatrics. From August 2009 until December 2015, Dr. Jean-Phillipe worked as an Attending Physician in the Pediatric Emergency department at JFK Medical Center in Edison, NJ. There, she practiced all facets of Pediatric Emergency Medicine – evaluating, prioritizing, diagnosing, and stabilizing all patients who came through the ER. Attributing her success to a hard work ethic instilled by her mother, Dr. Jean-Philippe expressed her interest in medicine at the age of 3. In high school, she volunteered in the Pediatric Ward at a local hospital, where she played piano, read stories, and dressed up like a clown to bring a smile to the children’s faces. Her current day to day responsibilities consist of reviewing labs and X-Ray interpretation. Dr. Jean-Philippe calls families concerning any news, and discusses further management. She also appropriately diagnoses and treats a variety of pediatric illnesses and illnesses in an Urgent Care setting, evaluating preliminary results and administering initial treatments for asthma, dehydration, foreign body removal, laceration repair, splinting, and digital blocks, among others. Dr. Jean-Philippe also executes monthly QA for the Carle Place office on Long Island. Dr. Jean-Philippe is professionally associated with the American Academy of Pediatrics, and has participated in Haiti Earthquake Medical Mission with the Association of Medical Physicians Abroad in 2010, where she provided patient care and medications to those affected by the earthquake at General Hospital. Dr. Jean-Philippe was a Covenant House Mentor NYC from 2011-2013, where she mentored homeless youth. Dr. Jean-Philippe has published a Case Presentation in the Pediatric Emergency Medical Newsletter in 2010, as well as presenting at the 11th Annual Mid-Atlantic Regional Society for Academic Emergency Medicine in Hersey, PA in 2008, on the treatment of Otitis media-based white blood cell count in children older than 3. In 2009, Dr. Jean-Philippe also presented at the 2009 American Academy of Pediatrics National Conference and Exhibition in Washington, DC. In her spare time, Dr. Jean-Philippe dedicates charity time to UNICEF, and enjoys spending time with her husband and young daughter, as well as attending plays and movies. She also enjoys reading and surfing the Internet. PM Pediatrics was established on the belief that there is a better way to deliver urgent care to kids and young adults. Their mission is to ensure their patients receive superior quality after-hours care when they are in need. PM Pediatrics specializes in treating patients from children to college students. Coney Island offers inpatient services for primary and acute care in general medicine, general surgery, medical and surgical sub-specialties, coronary care, intensive care, obstetrics and gynecology, midwifery program, pediatric and neonatology, critical care, rehabilitation medicine, psychiatry, and chemical dependency to a primary service area of approximately 900,000 NYC residents of southern Brooklyn. We also offer outpatient services for adult and pediatric medical care and surgical sub-specialties, dental and oral care, behavioral health, and chemical dependency. Coney Island has designations as a SAFE Center of Excellence under the Sexual Assault Reform Act, Designated AIDS Center (DACs), Level 2 Perinatal Center, and a New York State designated Stroke Center. Deepika Jain, MD Oliver Choo, M.D.